China is facing an arduous poverty alleviation task as it aims to extricate 30 million rural residents out of poverty, said by Han Jun, a Chinese official in a press conference held by the State Council Information Office on Monday. As the deputy director of the office of the central agricultural work leading group, he also pointed out that the difficulty of the tasks would go up with time, and each year the government would aim to eliminate impoverished population by over 10 million. There is still space for improvement in accountability and implementation in poverty alleviation efforts, Han added when introducing the recent-released guideline on winning the battle against poverty by 2020 together with Ou Qingping, the deputy chief of the State Council Leading Group Office of Poverty Alleviation and Development. He elaborated that the government needed to make more targeted measures, abandon formalism and bureaucratism, as well as punished those who had fabricated statistics and misappropriated poverty relief funds. “Implementation” is the highlight of the guideline, Han noted, adding that every task in the document has its correspondingly initiating and executing departments. The guideline focuses on extremely poor regions and special impoverished groups, the toughest part of the poverty alleviation tasks, he said, further pointing out that it requires the government to offer policy support for these regions, which is another highlight of the document. In addition, the guideline stresses that solid efforts must be made for the groundwork of poverty alleviation, calling for more accuracy in the confirmation of impoverished households and their deregistration. According to the guideline, top-level design must be reinforced to win the tough battle against poverty in the next three years. The document requires policy makers to focus on extremely impoverished regions and special impoverished groups, improve development conditions for impoverished regions and address the special demands of people in these areas. Stressing the importance of improved policies and effective measures, the document requires efforts to enhance targeted alleviation measures at the level of each village, each family and each individual, and accelerate infrastructure construction in impoverished regions. The document says that planning and coordination must be strengthened, and the government should enhance its support for multiple areas including finance, land, human resources and technology, to mobilize the whole society to conquer poverty. “Statistics shows that most of the 30 million registered poor people are seniors, sickened, and disabled. Over 40 percent and 14 percent of them are poor-stricken because of illness and physical disabilities respectively, and seniors above the age of 65 account for more than 16 percent of the total,” said Ou. With further implementation of poverty alleviation, the ratio of such special groups will go higher and higher, Ou noted, adding that it would take a very high cost to eliminate such extreme poverty. Many of the poor from such groups are not able or conditioned to work, and there is also no industry to help them out. As a result, changes must be made since the development-oriented approaches will no longer suit the situation. Against such backdrop, to tune the development-oriented policy to the combination of development and security is a clear-cut requirement raised by the guideline. This doesn’t mean China will just provide all the poor with basic living allowances, but it will establish a comprehensive security mechanism for those who have completely or partially lost their capacity to work and are not able to shake off poverty through businesses, based on social security, social aid and social welfare systems and supported by charity and social workers, Ou highlighted. The Communist Party of China Central Committee and the State Council, in the Decision on Winning the Fight Against Poverty issued three years ago, wrote that by 2020, the country is committed to ensuring that the impoverished rural population has stable access to adequate food and clothing, compulsory education, basic medical services and housing, and to achieving indices of major basic public services close to the national average level. Han said that such goal is totally in line with China’s national conditions and is achievable. The country will focus more on the goal in the next three years and reach the standard in the 2015 Decision. 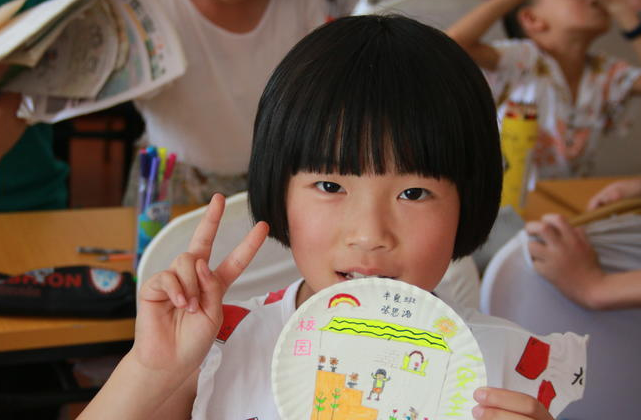 The stable access to compulsory education, basic medical services and housing must be correctly understood, Han pointed out, elaborating that the country should mainly offer 9-year compulsory education to children from impoverished families, rather than full-range free schooling. The country should offer basic medical services to impoverished population, enabling them to receive timely treatment of severe and chronic diseases and lowering their medical expenses down to a reasonable level, rather than a bulk billing that applies to all diseases, explained by Han. He added that satisfing the basic demand for living for impoverished people, does not mean to refurbish their old houses into big and luxurious ones . To ensure a precise grasp of the standard, the guideline proposes to cancel irrelevant tasks assigned in the name of poverty alleviation which are prevalent in many departments and industries. As a result, the tasks that go beyond the demand of the 2015 Decision will all be abolished.